Cody Green, founder of Canada Drives. Photo courtesy of company. Cody Green was working at Saskatoon Hyundai some eight years ago when he started to notice a common challenge for consumers in the car-buying process. And that started the idea for what today is known as Canada Drives, a company that allows consumers to set up vehicle financing online before they head to the dealership. “I was starting to recognize that for a lot of the customers that financing was an extremely important part of the vehicle purchase, and I think especially when you look at the non-cash buyers, obviously, and people who didn’t have perfect credit,” said Green, the company’s founder and co-chief executive officer, in a September phone interview. “I was noticing there was apprehension from these customers, just due to the fact that they were doing the financing at the end of the process,” he said. But Green also noticed the growth of ecommerce. People were buying things online, though not necessarily cars, at that point. In addition to buying goods online, folks would start to turn to the Web to utilize financial services tools, he said. It was clear to Green that consumers wanted to do more of the car-buying process online, and the financing piece of that was a good place to start. While working with Saskatoon Hyundai, Green put a form online that would let customers fill out a basic credit application, which let the shopper get that step out of the way (and be more informed about what they could afford) before they headed to dealership. The company was launched in 2010, and he spent the next few years adding dealer partners in Western Canada, eventually partnering with stores throughout the nation. Canada Drives eventually moved its headquarters to Vancouver in 2014, and these days it has close to 400 team members. There are more than 60,000 consumers who apply for financing with Canada Drives each month in Canada, Green said. As far as how that process works, the shopper first goes to canadadrives.ca and fills out an initial online application with basic contact and employment details. 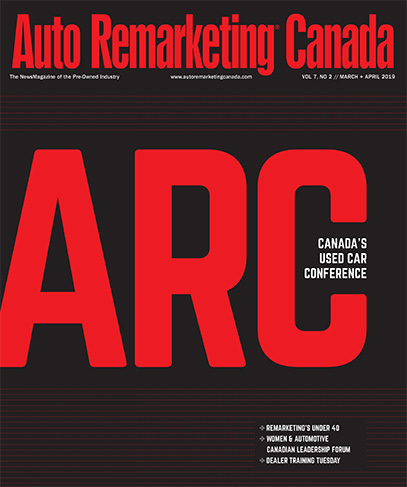 Usually within approximately 24 hours, the dealer that Canada Drives identifies as best match for that shopper reaches out to the consumer to go over finance options and discuss the customer’s car preferences. “So the real thing is that buyers get to find out and understand how much they can afford and what their monthly payments will look like before they even step on to the lot,” Green said. As for the importance of having dealers be a part of the equation, Green said: “Dealerships do so many things tremendously well, and we really just look to augment those things that they’re already doing well. They’re absolutely crucial to our service being successful. On the history section of the company’s website, there is a ruler with important dates from the company’s first seven years. So what are some of the next landmarks for that yardstick? Green said there company is eyeing more international expansion on the horizon, having launched in the U.K. and Australia earlier this year and late this past summer in the U.S. He expects to double the company’s staff in the next few years, open international offices and add more services for dealers. And just recently, in fact, the company began providing inventory solutions to dealers. Quite a journey from an idea to solving a consumer pain-point.